A steady rain this evening. Showers continuing overnight. Low 46F. Winds SSE at 10 to 15 mph. Chance of rain 100%..
A steady rain this evening. Showers continuing overnight. Low 46F. Winds SSE at 10 to 15 mph. Chance of rain 100%. Anne Decker and the Montpelier Chamber Orchestra rehearse at U-32 on Monday. 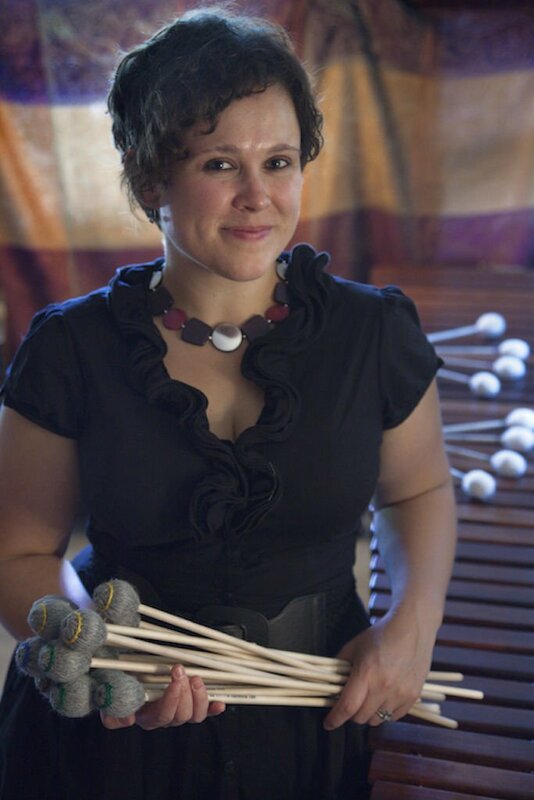 For her first time with the Montpelier Chamber Orchestra, marimba soloist Jane Boxall has chosen Guatemalan composer Jorge Sarmientos’ 1957 Marimba Concerto No. 1, or “Concerto para Marimba y Orchestra No. 1,” Op. 20. “It’s a very unusual and very cool piece,” Boxall said in a recent interview at Montpelier’s Capitol Grounds. MCO Artistic Director Anne Decker will conduct the program “¡Viva La Marimba!” at 7 p.m. Saturday, Nov. 17, and 4 p.m. Sunday, Nov. 18, at Vermont College of Fine Arts’ College Hall — and the concerts are free. Boxall, a native of England and Scotland, moved from Illinois to Vermont in 2008, as her husband always wanted to live here. They stayed for seven years, spent a couple of years in Nashville, and returned here about a year ago. Boxall was born in southern England, but moved at age 7 to northeast Scotland, where she grew up on a farm. At the University of York, Boxall earned her bachelor’s and master’s degrees in music, and went to the University of Illinois-Champagne for her doctorate with William Moersch. With African and South American antecedents, the modern marimba is a xylophone-like instrument with hardwood bars and tuned tubular metal resonators, played with rubber or felt-headed mallets. Boxall’s has a range of five octaves. For Boxall, there are parallels to the piano, her first instrument. Boxall has been half of a piano-marimba duo now for 10 years with a pianist in upstate New York, called the Ricochet Duo. Her career has been mostly marimba, and then drum kit. In fact, Boxall performs regularly with Decker’s TURNmusic, and has worked with the Vermont Contemporary Music Ensemble. Northfield composer Dennis Bathory-Kitsz even wrote her a piece for a child’s floating bath toy and voice. “I suppose, basically, if an instrument can be hit, I will hit it,” Boxall said. The Montpelier Chamber Orchestra presents “¡Viva La Marimba!” at 7 p.m. Saturday, Nov. 17, and 4 p.m. Sunday, Nov. 18, at Vermont College of Fine Arts’ College Hall, 36 College St. in Montpelier. Music Director Anne Decker will conduct Jorge Sarmientos’ Marimba Concerto No. 1 with soloist Jane Boxall, plus music of Alberto Ginastera, Diana Syrse, and Schubert’s “Unfinished” Symphony. Admission is free, but reservations are requested; go online to www.mcovt.org.